Get creative with Step Risers and design distinctive and contrasting edges on your steps. Create a truly stunning step up to your front door with these decorative blocks. 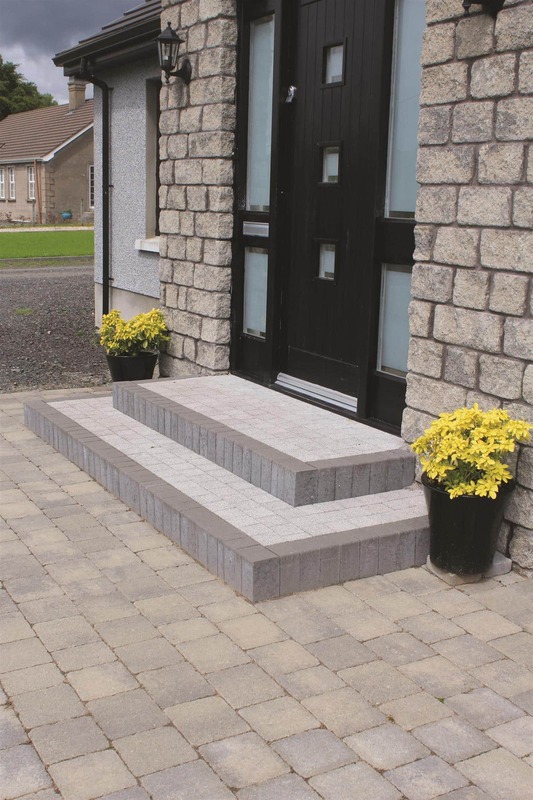 Pair these with a variety of Tobermore products to build bespoke steps to complement and enrich your home. I enjoyed the design service provided by Tobermore, it was helpful to be able to visualise what the finished front garden would look like. Vanessa and I discussed various layouts and features. For example, she highlighted that having a circle as a feature would not cost significantly more but would have a large visual impact.